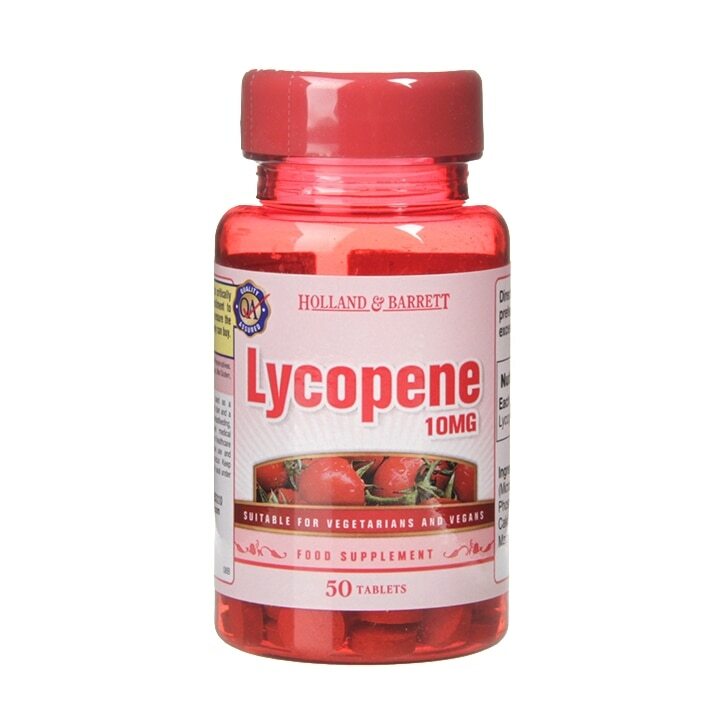 Holland & Barrett Lycopene Tablets contain lycopene, which is a natural compound that gives certain fruits and vegetables their colour. Lycopene is found in watermelons and pink grapefruits, and is found in particularly high amounts in tomatoes and tomato products. Bulking Agents (Microcrystalline Cellulose, Dicalcium Phospate), Maltodextrin, Anti-Caking Agents (Stearic Acid, Magnesium Stearate), Lycopene. No Artificial Colours, Flavours or Sweeteners. No Preservatives. No added Sugar or Salt. No Milk, No Lactose, No Soya, No Gluten, No Wheat, No Yeast, No Fish, No Porcine. Holland & Barrett Lycopene Tablets 10mg is rated 4.2 out of 5 by 14. Rated 5 out of 5 by madsamuri from great price per mg and a trusted name I bought these as I trust the name of H&B and the fact that per mg they were one of the cheapest compared to all these online shops. even though I bought them online delivery was quick and cheaper again. Rated 1 out of 5 by boddersch from expiring soon I ordered 10 bottles for a friend on the 28 of August 2017, and they turned out to be "best before September 2017"... They are probably good when they are not expiring soon, otherwise my friend would have not asked me to buy for her.